Learn how to get Windows Photo Viewer in Windows 10 and dump the new Photos App. Also, you can make the Windows Photo Viewer as a default Photo Viewer for a faster experience. You can spot the Windows Photo Viewer in Windows 10 default program settings for some file extensions, so it is not completely removed from Windows 10, yet. You do not have to download Windows Photo Viewer as such installer does not exist. If you dig-deeper and try to set this as the default app to open photos, you shall find that it has only a few image file extension associated. Microsoft did this to put the limelight on the new Photos app, that is cool but for some people, they either don't want to use the Photos App, or they just love the lightweight Windows Photo Viewer. What's Windows photo viewer and why you need it back? Windows Photo Viewer is a fast image viewer built-in tool in Windows. Windows Photo Applications has replaced Windows Photo Viewer, the difference between the two is exactly the same as Paint and Paint 3D, although there is no harm or problem in the new photos application, Windows Photo Viewer has made quite a lot of users in the past years. In such a case, you can re-use it on a Windows 10 computer. You can also find instructions to set it as default photo viewer. Also known as Windows 10 1803. There are a few options to bring back and set Windows Photo Viewer as the default application to open all your images files. This includes the JPG, PNG, BMP images formats. The first option is to use the Windows registry file which automatically makes all the changes in windows registry to make Windows Photo Viewer able to open images on your computer. And you will also be able to set different images extensions to open with Windows Photo Viewer on your Windows 10 computer. How to get Windows photo viewer Back in one-click. Save this tiny restore-windows-photo-viewer-in-windows-10-registry file. Extract it, click on the .reg file and allow it to add information to windows registry. It adds information of popular image extensions to associate windows photo viewer with them. (You can also open the .reg file in notepad and remove any of the image extension if you prefer some specific images files with windows photo viewer). This script will associate the following image file extension with Windows Photo Viewer. JPG, WDP, JFIF, DIB, BMP, JPE, PNG, GIF, JPEG, and JXR. Now you will be able to set Windows Photo Viewer as default photos Beaver to open all of your photos. Open the Control Panel and go to Default Programs > Set Default Programs. 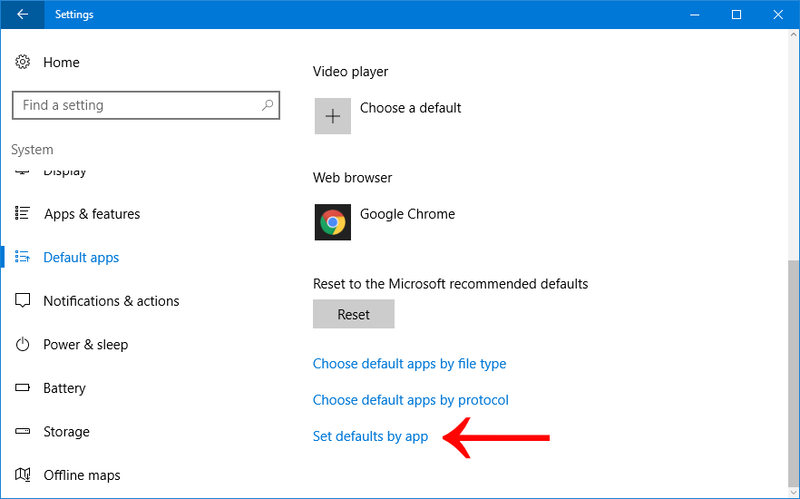 Setting Windows Photo Viewer as default photo viewer in Windows 10. Once you installed the registry file you can make Windows Photo viewer the default Photo Viewer in Windows 10. Follow these steps. Step 1. Open settings by pressing Windows + I or Start menu > settings. (Learn all the windows 10 keyboard shortcuts in 120 seconds.) Tap or click on system settings. Step 2. Navigate to 'Default Apps' and under Photo Viewer you'll see that the New Photos is assigned, click on that and choose 'Windows Photo Viewer'. Step 3. 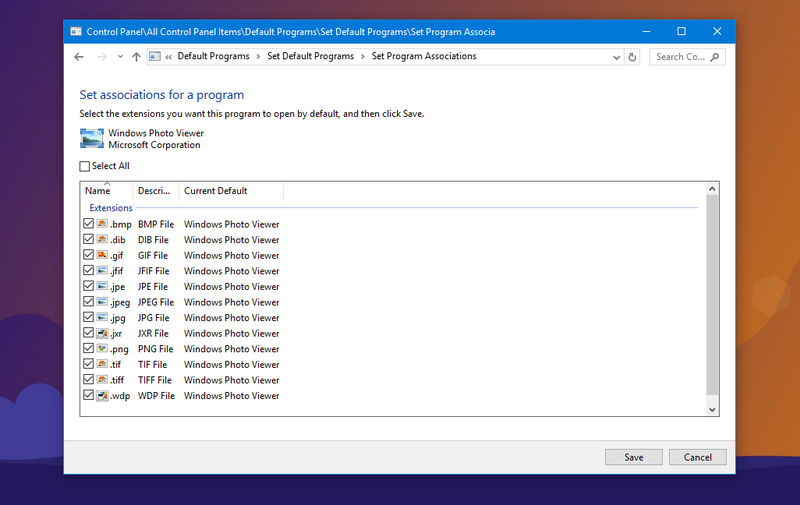 If you want to make windows photo viewer a permanent default program to open more image formats, scroll the setting box and click on 'Set Defaults by App'. Step 4. 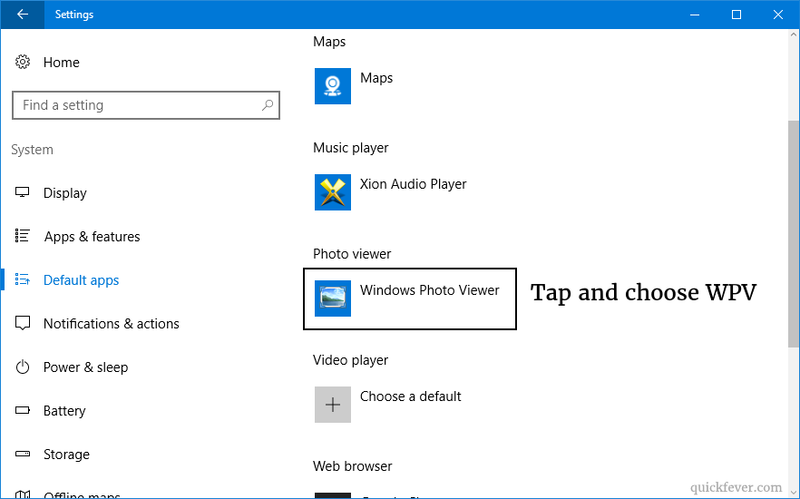 Search for Windows Photo Viewer, tap it, and click Set this program as default. 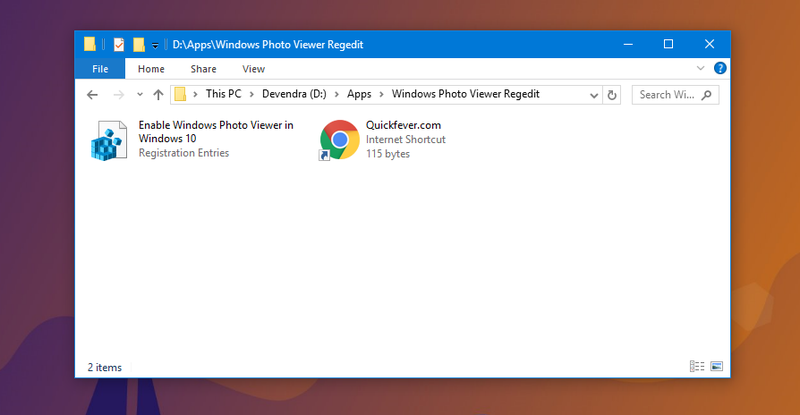 This will set the Windows Photo Viewer as the default program for all registered images extensions. Step 5. 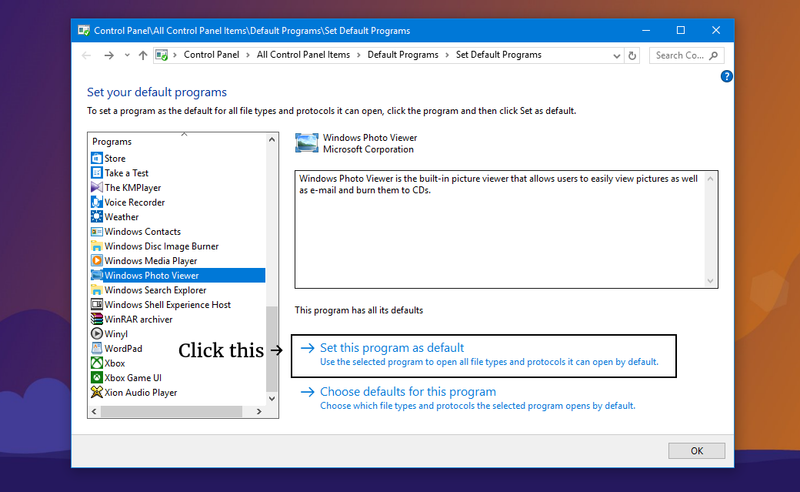 Or clicking on 'Choose defaults for this program' will show you what images extension can be opened with windows photo viewer and you can individually choose which format you want to open with windows photo viewer in Windows 10 operating system. Windows Photo Viewer is the best, and lightweight Photo Viewer Microsoft ever come up. Microsoft can pull down the Windows Photo in next versions of Windows, but that is very highly unlikely, besides Microsoft decided to keep working on Windows 10 at least for now. In this guide, we have to use the Windows registry to enable windows photo viewer in Windows 10 and set it default. As it is very powerful but do not try to make unnecessary changes. 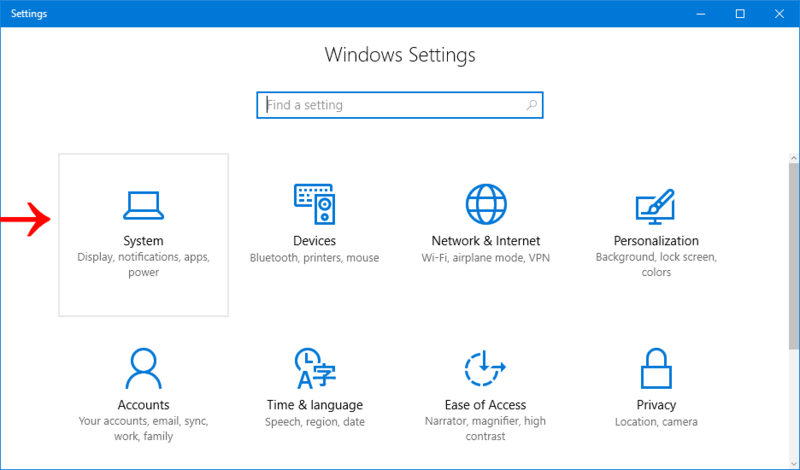 Previously we have used a similar trick to disable Cortana from Windows 10, and you may want to learn some questions and commands you can throw at Cortona.